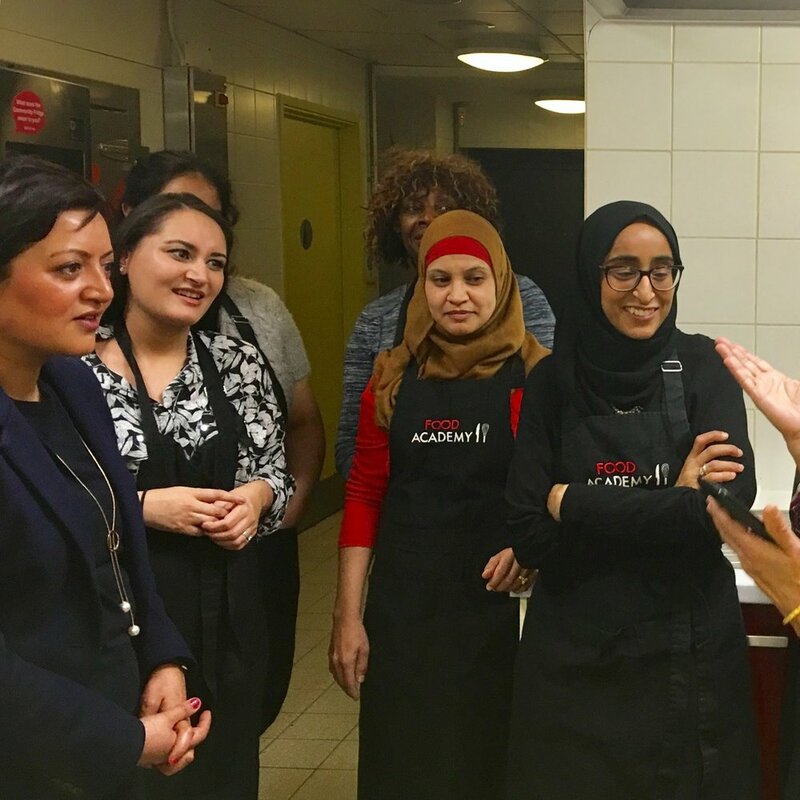 Today, the Mayor of Newham launched the first ever Food Academy smart “Community Fridge’, which will be trialled with the support of environmental charity Hubbub UK in a growing effort to tackle food waste. The Family Hub fridge, donated by Samsung UK, is located at the Food Academy kitchen at the East Ham Leisure Centre, and will be open initially 3 days a week to enable residents and businesses to share surplus food and for anyone to help themselves to quality food that would otherwise be wasted. The smart community fridge will be providing high quality fresh produce for the free Wednesday lunches for 60 people in the community prepared by Bonny Downs! Food waste is a big issue in the UK. The average household throws away £700 worth of food every year and at the same time 4 million people in the UK are living in food poverty. Most food waste in the UK is avoidable and could have been eaten had it been better managed. Sandeep Channa, co-founder of Food Academy said: “This super smart community fridge, one of the most advanced in the world, will support Food Academy’s role as a hub of community food education and health prevention, knowledge and goods sharing and support a sustainable food system”. Hubbub is a charity which explores innovative ways to interest mainstream consumers in important sustainability issues, through different ‘hubs’ of activity: Food; Fashion; Homes; Neighbourhoods. Hubbub’s previous campaigns have included #SquareMileChallenge, the UK’s first large scale solution to coffee cup recycling, #NeatStreets to cut litter in UK cities, For Fish’s Sake (#FFSLDN) to tackle litter in the Thames, #GiftABundle to get pre-loved baby clothes back into circulation and #PumpkinRescue to encourage more people to eat the carvings from their Halloween Pumpkins. Hubbub has just launched #FoodSavvy in collaboration with Norfolk and Suffolk Councils in order to tackle food waste in East Anglia over the next two years. Hubbbub also co-ordinate the National Community Fridge Network There are currently 39 Community Fridge Network fridges open across the UK, which on average redistribute half a tonne of food per month.